"Best solicitor in entire london hard worker lovely ppl"
"Thanks for the best representation for my overall immigration cases"
"I used them to sponsor my husband, they provide great advice.
" Honesty and integrity, caring, professionalism"
"The level of service provided is excellent. firm to anyone that needs legal representation. indeed to Nasir Ata and Ms Yalda...!!!" Please select the type of legal services you need and should you need further assistance on a legal service not listed, please contact us. ما از تجربه جامعی در همه بخش های قوانين مهاجرت برخوردار هستيم. ما با هر مسئله با آگاهی همه جانبه از نياز های هر مشتری برخورد کرده بهترين راه های مؤثر را برای دستيابی به اهداف مشتريان خويش دنبال می کنيم. ما، علاوه بر وکالت از مشتريان در همه مراحل درخواست، نمايندگی و استيناف طلبی، در تريبيونال های مهاجرت و پناهندگی (Immigration and Asylum Tribunal)، محکمه عالی (High Court) و محکمه استيناف (Court of Appeal) از ايشان نمايندگی می کنيم. نصير عطا، بنيانگذار Ata&Co، تحصيلات خويش را در پوهنتون کابل، پوهنتون "وست منستر" (University of Westminster)، و کالج حقوق لندن (College of Law London) تکميل و از سال 2004 به اين سو به عنوان حقوقدان ايفای وظيفه کرده است. وی بيش از هفت سال، تا اپريل 2013، برای شرکت حقوقی Wilson Solicitors LLP کار کرده است. نصير در ماه اگست سال 2009 موفق شد، پس از تکميل موفقانه دوره عملی، صلاحيت کامل وکيل دعوی را کسب کند، و در عين زمان عضويت کانون وکلای بريتانيا را حاصل کرد. نصير در بخش های مهاجرت، پناهندگی، حقوق اداره و قوانين اتحاديه اروپا تخصص داشته در ده سال گذشته به انبوهی از قضايا در اين بخش ها رسيدگی کرده است. در موارد قابل توجهی، جانب مقابل مشتريانی که نصير از ايشان در محکمه استيناف و محکمه عالی نمايندگی کرده است پيش از تکميل محاکمه به شکست شان اعتراف کرده اند. 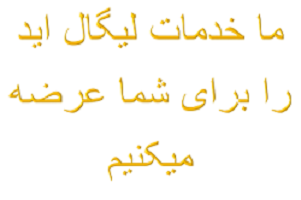 خيلی مهم است که قضيه شما، زمانی که برای بار نخست درخواست پناهندگی می کنيد، به بهترين وجه آن ارائه شود، و بنابراين دريافت مشوره تخصصی از يک مشاور حقوقی با صلاحيت از اهميت فراوانی برخوردار است. نصير به عنوان يک حقوقدان ماهر قادر است ارزيابی ابتدايی از قضيه شما به عمل آورده از همان آغاز در رابطه با دورنمای آن به شما مشوره داده آن را به بهترين نحو ممکن به UKVI ارائه کند. نصير در ده سال گذشته از مشتريانش از کشور های مختلف در رابطه با قضايای پناهندگی و حقوق بشر وکالت کرده است. وی در پيشبرد قضايای پيچيده پناهندگی و اخراج از سابقه پر اعتباری برخوردار بوده توانسته است دانش خويش از مسائل حقوقی را به همه جوانب قضايای مشتريان تطبيق کند. وی همچنان از دانش و تجربه خوبی در رابطه با قضايايی که به دلايل ادعای جرايم جنگی و جرايم عليه بشريت از دوران خارج می شوند برخوردار است. نصير ترجيح می دهد قضايای کمی را متقبل شود تا بتواند آنها را به خوبی آماده سازد. اگر وی قضيه شما را به عهده بگيرد به خاطر آن در همه مراحل روند قانونی به شدت تلاش خواهد کرد و به اين منظور از ساير کارشناسان، از قبيل آگاهان از وضعيت کشور مورد نظر و وکلای مدافع (Barrister) با صلاحيت و با دانش استفاده می کند. ما راه حل های پيشکی و نوآورانه ای ارائه می کنيم که بر پلانگذاری و تعيين اهداف دراز مدت تأکيد دارد. ما از تجربه مثبتی در ارائه مشوره و نمايندگی از مشتريان در رابطه با حق ورود (ويزا) در بخش هايی چون کار آفرينی، سرمايه گذاری، کار آفرينی بالقوه، تحصيل و سفر های عادی برخوردار هستيم. ما همچنان می توانيم در رابطه با تمديد اقامت تجارتی، کاری، و تحصيلی و تجديد نظر اداری يا قضايی در ارتباط با رد چنين تقاضا هايی از مشتريان نمايندگی کنيم. قانون تابعيت بريتانيا به طور خاصی پيچيده است، و چندين راه وجود دارد که از طريق آن شخص می تواند شهروند بريتانيا شود. نصير از دانش تخصصی در رابطه با قانون تابعيت برخوردار بوده خدمات خويش را در همه موارد پيشبينی شده در قانون، به شمول اعطای تابعيت، درخواست ثبت اختياری، و کسب معلومات در رابطه با تابعيت مختلط ارائه می کند. ما همچنان می توانيم از طريق تجديد نظر قضايی در برابر تصاميم مربوط به رد تابعيت اقامه دعوی کنيم، از جمله مواردی که تقاضای تابعيت با در نظرداشت خصوصيات شخصيتی متقاضی يا رابطه وی با جرايم جنگی رد می شود. ما از دانش دقيق و همه جانبه در ارتباط با قوانين اروپا و فرصت های قابل دسترس به اتباع اروپايی و اعضای خانواده های شان که می خواهند از حق شان برای رفت و آمد آزادانه به بريتانيا استفاده کنند برخوردار هستيم. ما از مشتريان زيادی در رابطه با حق بود و باش شان در بريتانيا، هم در مرحله درخواست اولی و هم در مرحله استيناف وکالت کرده ايم. ما درخواست های مشتريان را برای دريافت کارت اقامت، اقامت دايمی، و اعاده حق اقامت به مراجع مربوط ارائه و تصاميم منفی را از طريق UKIV با موفقيت به چالش کشيده ايم. ما همچنان از مشتريان در رابطه با روند های اخراج جزايی با تکيه بر قوانين اتحاديه اروپا وکالت کرده ايم. دنصیر عطا، ستاسو وکیل پیام: ګرانو هیوادوالو دا ویبسایت ته ښه راغلاست. دا ویبسایت تر اوسه تکمیل ښوی نده. مونږ سره دیو غونډی لپاره تماس ونیسی. It is extremely important to present your case as best as possible when you initially make an asylum application, and it is therefore of paramount importance to have specialist advice from a competent legal adviser. Nasir as a proficient lawyer is able to carry out an initial assessment and can advise you at the outset on the prospects of your case. Nasir has represented asylum and human rights clients from different countries for the past fifteen years. Nasir has proven track record of handling very complex asylum and deportation cases and is applying his knowledge of the law to every angle of the clients’ cases. Nasir has also a good knowledge and experience of dealing with cases where clients are excluded under the Refugee Convention for allegations of war crimes. Nasir is taking rather a few cases in order to prepare them very well. If he takes your case on, he will fight your case at every stage of the legal process by bringing together other expertise such as well-recognised country experts and knowledgeable barristers. We offer proactive, innovative practical solutions that emphasise on planning and long-term goal setting. We have positive experience in advising and representing clients in relation to entry clearance (visa) in the categories of Entrepreneur, Investor, Potential Entrepreneur, Student and General Migrant. We can also offer representations in submitting extension of leave in the business, work and study categories and administrative review/judicial review of adverse decisions. British nationality law is particularly complex, and there are several ways by which one can become a British citizen. Nasir has specialist knowledge of nationality law and offers services in all aspects of nationality law cases including naturalisation, discretionary registration applications and complex nationality entitlement queries. We are also able to challenge by way of judicial review decisions to refuse citizenship, including refusals on the issues of good character requirements and association with war crimes. We have in-depth knowledge of the European Law and the options available to European Nationals and their family members seeking to exercise their free movement rights in the United Kingdom. We have represented numerous clients in relation to their right to reside in the UK both at initial application and appeal stages. We have submitted applications for Residence Cards, Permanent Residence, Retained Rights of Residence, and we have successfully challenged negative decisions by the UKIV. We have also represented clients with regard to criminal deportation proceedings initiated against them under the EU Law. We are a contracted provider of Legal Aid and can undertake representation in asylum, certain human rights and judicial review cases under the Legal Aid scheme. This means that our clients with such cases will not pay for our services; the Legal Aid Agency will pay us. 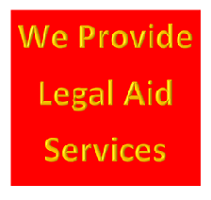 Legal Aid funding is subject to merit and financial assessments. Our consultant lawyer Vipool deals with the sales and purchases of leases of shops, restaurants, offices, commercial units; he also deals with domestic conveyancing matter involving purchases of freehold and leasehold properties, wills and probate and lasting powers of attorney. He also acts for landlords in lease renewal matters. 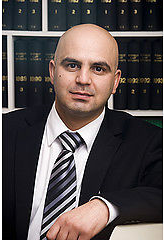 Nasir Ata is the founder an Principal Solicitor of Ata & Co. Solicitors. He has been practising immigration law since 2004. He has experience in a wide range of immigration matters including; asylum, human rights issues, deportation, detention under Article 28 of the Dublin III Regulations, European Union and nationality law. Nasir regularly represents clients at all levels from the initial application stages to appeals and judicial reviews. 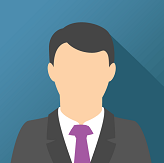 He is experienced in representing clients in the First-Tier and Upper Tribunal of the Immigration Asylum Chamber and also in the High Court and the Court of Appeal. Nasir represents clients in their unlawful detention claims and also represents foreign national criminals and clients who have been accused of war crimes and crimes against humanity. He has considerable specialist experience in representing applicants from Afghanistan, Iran and Somalia. He is accredited as a Senior Caseworker (Supervisor) in accordance with the Law Society's Immigration and Asylum Accreditation Scheme and demonstrates the required level of competence and specialist knowledge in Immigration and Asylum law as defined by the Law Society and enables him to advise and assist both private paying and publicly funded clients. Vipool is an experienced commercial property solicitor, having practised in this field since 1994. He joined Ata & Co in 2016 as a consultant lawyer and deals with the sales and purchases of leases of shops, restaurants, offices, commercial units; he also deals with domestic conveyancing matter involving purchases of freehold and leasehold properties, wills and probate and lasting powers of attorney. He also acts for landlords in lease renewal matters. In his spare time he enjoys walking, cycling, reading and playing with his dog. At Ata & Co we aim to provide outstanding levels of friendly and personal service at competitive prices. We rely mainly upon client recommendations and have achieved growth through client relationships. We exist to serve our clients and grow by achieving the best outcomes possible in all cases. 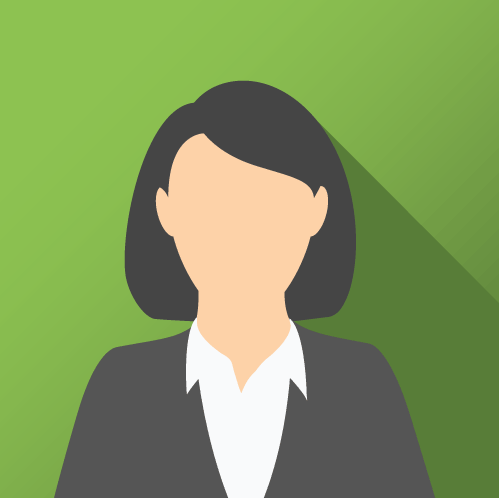 Urja is an experienced immigration solicitor, having practised in this field since 2002. She joined Ata & Co in 2017 as a consultant lawyer and deals with immigration and public law cases. The prices quoted are exclusive of all disbursements like search fees, land registry fees, stamp duty, probate court fees etc and are quoted on the basis of a standard transaction with no complications on title, planning or other issues. If the transaction becomes complicated added fees may be charged on an hourly basis or fixed fee quote which will be agreed with the client before proceeding with the work. A standard transaction takes approximately 8-12 weeks to complete and if you want the matter completed earlier further fees may be charged. Prices do not include any work for mortgage companies. We generally don’t act for mortgagees as we are not on lenders’ panels.